Ko Phangan, known as the backpacker "island-paradise," is of course famous for all-night beach parties. It is home to the famous-infamous Full Moon Party, a giant monthly blowout that draws up to 15,000 people during high season. 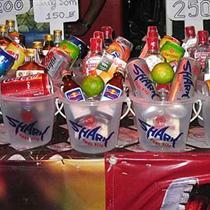 Some travelers say that the island offers much more than just parties. "It is the most beautiful island in Thailand, the most affordable and the most pleasant place to be - maybe even in all of Asia," said a 34-year-old French traveler. At one time, Koh Samui was the gathering place for young backpackers. 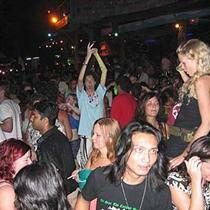 The scene moved to Koh Phenang in the 1990s after Samui became too crowded.